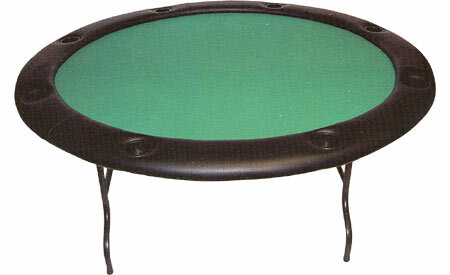 This 8-Player Round Poker Table features a long-lasting, padded, washable felt playing surface, a padded vinyl armrest, individual cup holders built into the rail, and collapsible black metal legs. Each table measures 60" in diameter, 30" in height, and weighs 100 pounds. 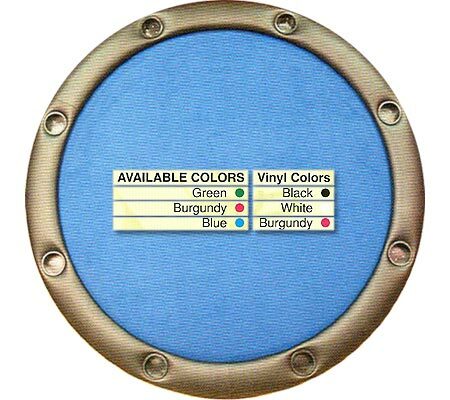 For additional information on any of our Poker Tables or Poker Table Accessories, please feel free to contact us at 1-800-233-0828.